The Joint Standing Committee on Commerce, Industry and Banking (JSCCIB) cited the clouded political outlook and the superpower trade dispute as the two biggest risks facing the economy. 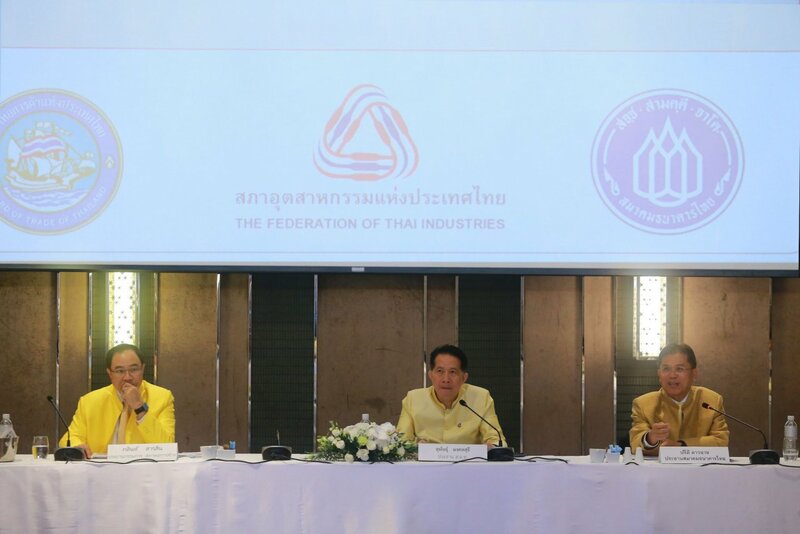 “The private sector is worried about the political uncertainty in the upcoming months, which may lead to political unrest and damage the local economy,” Supant Mongkolsuthree, chairman of the Federation of Thai Industries (FTI), said at a press conference yesterday. As a means of reducing the political uncertainty, Supant said that he wanted the new government to be formed next month, as soon as possible after the royal coronation ceremony set for May 4. Once the new government is formed, the FTI chairman urged that progressive policies be pushed out, instead of populist ones that may damage the financial foundations of the country in the long run. As for investment, the political uncertainty will not halt ongoing projects, Supant said. However, prospective investors may delay their spending plans in the Kingdom until its politics becomes more stable. This month, the JSCCIB reduced its GDP growth forecast for 2019 from a range of 4 to 4.3 per cent predicted in December to between 3.7 and 4 per cent. However, Supant said that this downward adjustment did not account for the risks arising from political uncertainty. The lowered estimate is largely a result of the global economic slowdown and the US-China trade war. Exports for January and February contracted by 0.16 per cent, year on year, with a value of Bt1.294 trillion, according to the Commerce Ministry. Reflecting this decline, the JSCCIB scaled back its forecast for export growth in 2019, from a range of 5 to 7 per cent stated in December to 3 to 5 per cent. The United Kingdom’s departure from the European Union may also lead to impacts on the Thai economy, the committee said. “Although Brexit may not significantly impact Thai exports and investments, it may weaken the level of investors’ sentiment globally,” said Predee Daochai, chairman of the Thai Bankers’ Association. “This will have global ramifications and may negatively impact the Thai capital market,” he said.